Relying on a vehicle’s built-in TPMS could be costing drivers money. Although almost every vehicle nowadays comes equipped with a built-in tire pressure monitoring system (TPMS), the trouble with this feature is that many drivers make the mistake of thinking that a TPMS is a replacement for regular tire pressure checks, because it alerts drivers with a warning light when pressure is too low or too high. However, by the time the warning light comes on, a tire may have already dropped far below proper inflation, which means the vehicle’s gas mileage, handling, performance and load carrying capabilities have already declined. 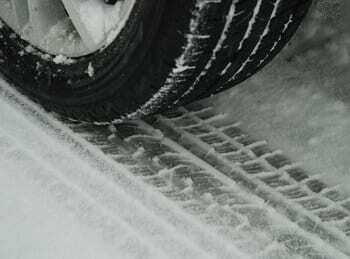 To maintain the best fuel economy, tire pressure needs to be monitored even more closely in cold weather. Winter is here, and for many Americans this means colder temperatures. When the air becomes colder, it becomes denser, which results in lower tire pressure. On average, colder temperatures will cause tire pressure to decrease about 1 psi for every 10 degree Fahrenheit drop in air temperature. Therefore, monitoring tire pressure more frequently in the winter is a must. According to the U.S. Department of Energy, underinflated tires cause American drivers to waste 1.2 billion gallons of fuel annually. On the other hand, tires that are properly inflated can improve fuel efficiency by 3.3% and lead to as much of an 11 cents savings per gallon at the pump. A tire pressure gauge is the perfect complement to a tire pressure monitoring system. Since a small drop in air pressure might not set off the TPMS warning light, which typically only activates once the pressure has plummeted 25% below the vehicle manufacturer’s recommended pressure, it is important to use other tools to monitor pressure. A tool such as a tire pressure gauge can help make sure the TPMS low pressure warning light never comes on, which will help to prevent impaired road handling and loss of fuel economy. This handy device will provide you with a fast read of your tire’s pressure, letting you know whether your tire is perfectly inflated or needs a little more or less pressure. Ultimately, while a tire pressure monitoring system is definitely convenient and safe, its purpose is not to serve as a maintenance reminder. As a general rule, drivers who want the best fuel economy, performance and handling from their vehicles, should check the pressure of their tires once a month using a tool like a tire pressure gauge to ensure continual proper inflation of their tires.